Leading Southern Baptist ethicist Russell Moore has said that he was embarrassed watching the first presidential debate between candidates Donald Trump and Hillary Clinton, which he compared to a "wrestling show." "I was embarrassed in front of my children," Moore, who is the president of the Ethics & Religious Liberty Commission of the Southern Baptist Convention, said in a video on his Facebook page. Moore watched Monday's debate with his children, noting that his oldest two sons are Americans by immigration, as they were born in the former Soviet Union and later adopted. He said that it is regretful that the spectacle Trump and Clinton put out will be the first presidential debate that they will all remember together. "America is better than this, America is more serious than this," Moore said. He pointed out that Trump and Clinton debated on a stage with words from the U.S. Constitution posted in the background, and said that it was "sad" that the candidates were "doing what they were doing in front of those words." "It was quite a contrast, when you think about the men and women who led the nation at those times — they weren't all good people, but they were, in terms of leadership, people who recognized the necessity of virtue." Moore said that the debate "had the feel of a wrestling match, or a ball game, in terms of the anticipation behind it." The ethicist, who in the past has been critical of both presidential candidates and has suggested that Christians vote for a third-party or write-in candidates rather than settle for the "lesser of two evils," argued that evangelicals are feeling a sense of "homelessness" at the moment when it comes to politics. He pointed out that while the topic of racial unity was mentioned at the debate, the moral level of it, when it comes to each person being a child of God, was not explored. Other topics important to Christians, such as the unborn and abortion, were not talked about at all. "You're looking on one hand at a legal hostility toward the unborn, but on the other hand you also have a cultural trajectory, in which a pro-life ecology can't survive," Moore argued. "The idea of women as sexual objects, whose worth is determined by their attractiveness to men, that's the route of where the hostility toward the unborn comes," he said in reference to Trump. "A sexual revolution that objectifies women, and objectifies children as well." Moore has been criticized by some conservatives, such as Liberty University President Jerry Falwell Jr., for refusing to back Republican candidate Trump, and has even been accused by Falwell of being a potential "closet liberal." 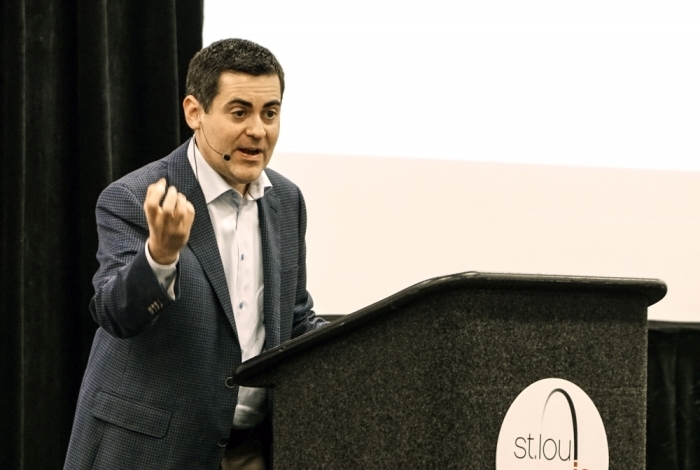 "I don't know what Russell Moore's politics really are. I don't know if he is a closet liberal or if he is a conservative," Falwell said back in July. "I don't think it really matters what I say. I don't think it really matters what evangelical leaders on the Left say. Evangelicals and conservatives are voting as Americans and are voting to save our nation to control immigration, to stop terrorism, to bring jobs back to the country." Moore pushed back in his video on Monday against both sides of the political spectrum that see every election as a "battle of Armageddon," however, which he said "breeds a kind of cynicism." Moore insisted that the "American republic has proven to be resilient," despite predictions by both conservatives and liberals that if they lose an election, there is no hope for America. The ethicist reminded Christians that "we serve a different kingdom," and that "Jesus is alive." "He is king of the entire universe, and He must reign until all of His enemies are put as a footstool beneath His feet," Moore said. "He doesn't get there through power politics, He doesn't get there through coercion, He gets there through the presence of the Spirit, though the preaching of the Word."